The one area where technology can have the greatest impact in Africa is in the agricultural industry, the largest economic sector in most countries on the continent. New African low-cost airline fastjet could soon enter the South African market, possibly before Christmas. Which African countries have the best outlook for consumer goods? Can Africa’s new low-cost airline replicate the success of easyJet? Africa’s new low-cost airline FastJet has announced that it will take to the skies by October this year. There has been much talk about the potential for investment in Africa’s agribusiness and food industries. But what are the particular opportunities? Nigerian public officials with a taste for the country’s local food might find future government functions a little more enjoyable. 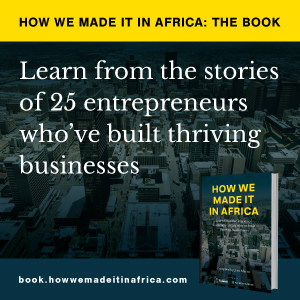 With the majority of Africans still shopping at small informal outlets, getting your product into the hands of the consumer is not always straightforward. Large income disparities and diverse attitudes exist among African consumers, leading to very different spending and media consumption habits. Is the way that Africa is being portrayed in the international media a true reflection of what is happening on the ground? Research firm Nielsen recently identified seven types of African consumers that companies need to be aware of as they target their products to the continent. Executives from KPMG, Helios Investment Partners and the Tata Group share some insights into a variety of topics related to Africa’s investment environment.